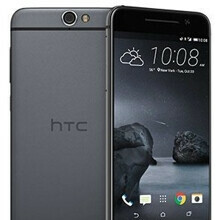 HTC today announced the One A9, a handset which, according to the company's CEO, can be a good alternative to Apple's iPhones. While the A9 is indeed designed to compete with the newest family of iPhones, it's not as expensive as Apple's devices. More exactly, the One A9 with 3 GB of RAM and 32 GB of storage space costs $399, and can already be pre-ordered, unlocked, in the US. What about availability via carriers? Well, for now, only Sprint announced that it would sell the One A9. Sprint's HTC One A9 will be available to buy starting November 6, becoming the carrier's first handset to run Android 6.0 Marshmallow out of the box.There are various options to get the One A9 from Sprint: on lease, for $20 per month over 24 months (though you won't own the phone after all leases are paid), on Easy Pay, for $29 per month over 24 months (you will own the phone after 2 years), on contract, for $199 upfront, or off contract. Interestingly, if you want to get the One A9 off contract and off lease from Sprint, you'll have to pay $696 upfront - way more than the price of the handset when sold unlocked by HTC. Sprint will offer the One A9 in two color versions: Carbon Gray and Opal Silver. Just like the unlocked model, Sprint's A9 features a 5-inch 1080p display, LTE, a metallic body, an octa-core Qualcomm Snapdragon 617 processor, fingerprint scanner, microSD card support, and a 2150 mAh battery. On the back, the A9 has a 13 MP camera, while its front-facing camera is a 4 MP UltraPixel one. So, is anyone planning to buy HTC's new handset from Sprint? Sprint has gone crazy. This will be free on contract and priced at half the current installment/lease prices in a month's time. Why are they jacking up the price by $300? At $696, everyone will choose an iPhone or S6 over this. Let's see; HTC selling the A9 Totally UNLOCKED. Sprint selling the A9 Locked. HTC = WIN HTC selling the Totally UNLOCKED A9 Direct and Off Contract for $399 + Tax. Sprint selling the A9 Locked Off Contract for $696 + Tax. HTC = WIN NEED ANY OTHER QUESTIONS? Oh Yeah, Buy the Off Contract A9 from Sprint and Spend $297 + Tax More than form Buying it from HTC, WHO is the Looser? Buy from Sprint instead of from HTC, LOOSER = YOU!!!!!! yet another iphone wanna be. The guys at Sprint are nuts. Well done HTC, go on, carry on digging your own grave. Wait, is this gonna be the same variant as the A9 that'll be used on AT&T/T-Mobile? If so, how are they gonna make it work without CDMA? The same way it'll work on Verizon with LTE only? That's barely a good idea for Verizon, I doubt Sprint could pull that off without any trouble. So they're gonna make a special CDMA version for Sprint? Then why not make that version also available for Verizon so they don't have to go without a CDMA fallback? This whole thing is way too confusing.